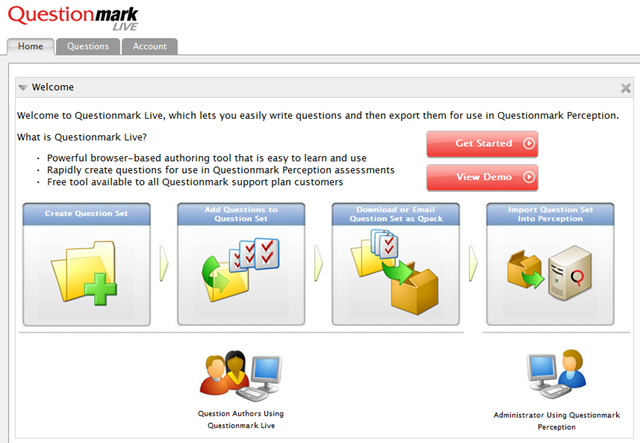 Just over six months ago we announced Questionmark Live at the Questionmark Users Conference in Memphis.Since then, there have been 25,000 questions created using this new browser-based tool. That sounds great, doesn’t it! But I was surprised to meet a number of customers at our Breakfast Briefings and User Group Meetings who had not yet seen this easy way to author questions. 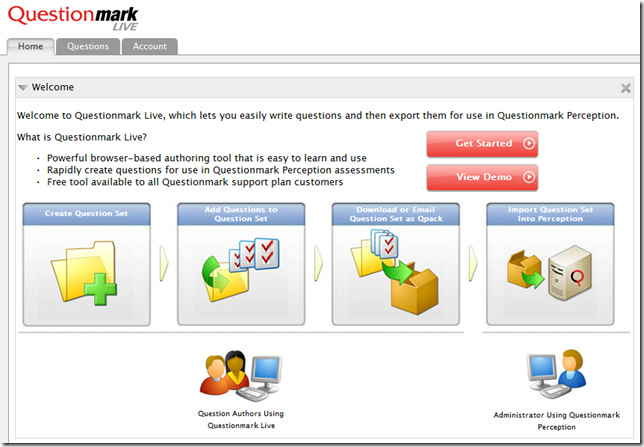 So I’d like to turn back the clock and re-announce the availability of Questionmark Live, which all of our Software Support Plan customers can use free of charge. Anyone you want questions from can have unlimited access to this tool. There’s nothing to download. They can just start creating questions sets on a desired theme or topic, using seven different question formats. The questions can utilize multimedia, links and choice-based feedback. Do you utilize workflows that involve SMEs, instructional designers and editors? Questionmark Live offers a great way to help people work together. Users can share their question sets with each other for true collaboration. Every question created and edited has a full revision history that can be used to compare revisions and roll back to previous versions. If you haven’t taken a look at this exciting and dynamic tool, just click here to get started. If you would like a demonstration, please email customercare@questionmark.com to set one up! I’m amazed to see how far we have come with Questionmark Live in such a short period of time. Now we are delivering the much-anticipated Shared Question Sets (cue trumpets). Shared Question Sets means exactly what it says…it allows you to share your question sets with other Questionmark Live users. Combine this feature with versioning and you are getting close to the perfect question authoring workflow tool. Watch the video below to see Part 1 of the Shared Question Set video series: How to Start Sharing Question Sets with your Subject Matter Experts!